Good apartment room with household utensil inside it, delicious breakfast eventhough tge option not so much. 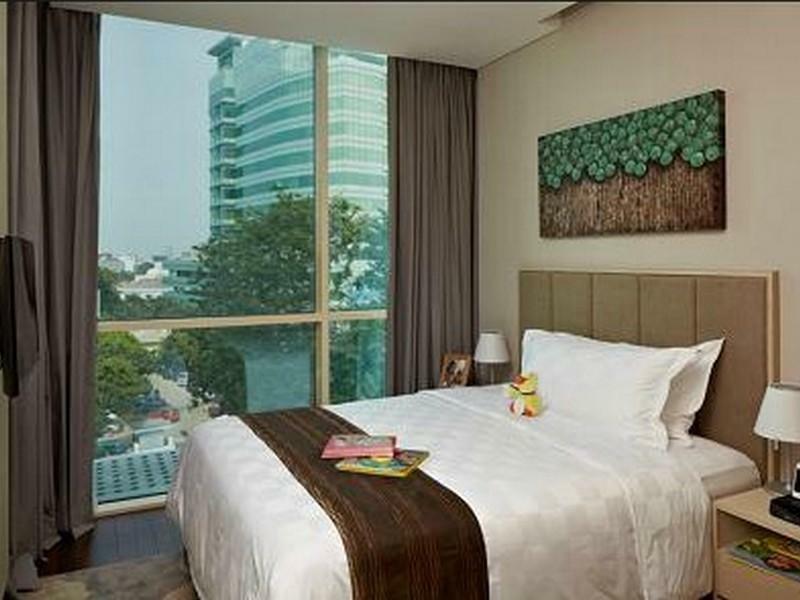 Thank you for choosing Fraser Residence Menteng as your accommodation during your trip to Jakarta recently. It is always encouraging for us to learn that our valuable residents are satisfied with our service and facilities and hope that we will have the pleasure of welcoming you again. I stayed one night during NY Eve, unfortunately they didn't have any special event. I believe, this one you need to improve. 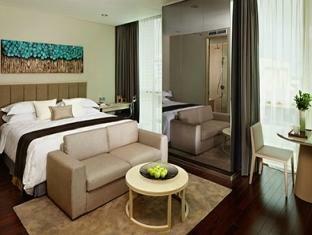 Room is spacious, comfort, nice, and complete enough. It has kitchen set with cookware and tableware set. Thing that you need to update is image on agoda. The bath tub was shown with big window and city view, but the reality it wasn't. Breakfast is quite minimalist for a 5 star hotel/service apartment, please improve. And for check in, I arrived one hour earlier, staff said I need to wait so I left to had lunch. Around 2.30pm, I would like to get the key and I need to wait another 15minutes, I hate waiting, please improve! Last thing, I wish there is small supermarket so customer can easily buy something to cook or use the microwave. I enjoyed my stay but you guys really need to improve. The best place we've ever stayed in Jakarta! We don't see the fuss despite the review for the breakfast selection was limited, but the facilities & overall cleanliness of the apartment were really good! Close by of walking distance to Stasiun Gongdadia & foodies will fall in love here as there are plenty of food choices available! Staff is great & friendly. We reserved a smoking room but when we arrived they told us it was based on availability which is understandable yet frustrating. The woman who helped us with the check in was very serious and not friendly at all. Throughout our stay, there were always staffs near the counter who never acknowledge/greeted us whenever we go in or out of the hotel. However the staffs at the breakfast place greeted us with warm smiles and aided us with no hesitation. I liked the large room for the price level, well-equipped with everything that one might need for longer stays even. Breakfast was a good spread of western and local in a bright and airy room that became a chic restaurant by night. There are some restaurants including a small mall within 10mins walk, the large malls and hotels are about 15min by car in moderate traffic. However, during check-in I was not informed that they would put me into a smoker's room in spite of my booking request for a non-smoking room. After returning from dinner outside, I asked to change my room and was told there were no non-smoking rooms available until I threatened to sleep in the lobby. I got my room shortly, same type on a different floor. Rest of my 4 nights were uneventful except for the air-conditioning and toilet light that switched itself off and on sometimes. Thankfully it didn't bother me too much while I slept. 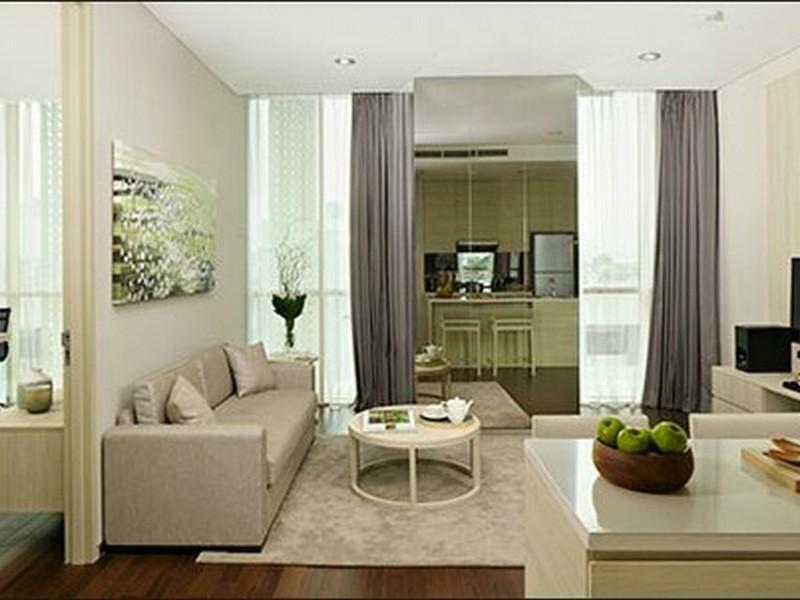 the apartments are very nice and modern. breakfast was ok but quite a small area for the amount of people that were staying there. 10 mins walk from the main monument square but unfortunately it is right next to a mosque and the 4.15 call to prayer is your early wake up call!! Thank you for taking the time to write this review. We appreciate your review about our service and facilities and hope to welcome you again. I stayed in Fraser for 7 nights during Christmas 2018. My expectations were exceeded. I've stayed in many 5-star hotels and I must say that Fraser Residence has got the most complete amenities that you can have. They even have two Osim massaging chairs in a relaxation room next to the gym. Normally when I travel, laundry had been the biggest challenge. But not in Fraser, since they provide washing machine with dryer functionality in your spacious room. Mind you, I booked the one-bedroom suite. It's more than enough for our family of 3. Rest assured, our stay there was a blast. Thank you Fraser Residence Menteng! Pros Clean Full amenities Spacious room Quick responds from the manager regarding our issues, gave us a compliment Cons 1. Had to wait for two and a half hours to get my bath towels delivered, after I complained to the manager. 2. They forced me to share my breakfast table with other guests for THREE times. 3. Blamed me for my late checkout time. The front desk gave me checkout time at 2pm when I checked in. The next day the other front desk told me there was no record of my request and told me to check out at 12pm. 4. Chaotic management. 5. Unprofessional and rude employees. Had a great staycation here with my friend. Love the spacious apart-hotel. Although Relish is a bit narrow and small, almost had a claustrophobic breakfast to be honest. Spa and swimming pool is also okay. 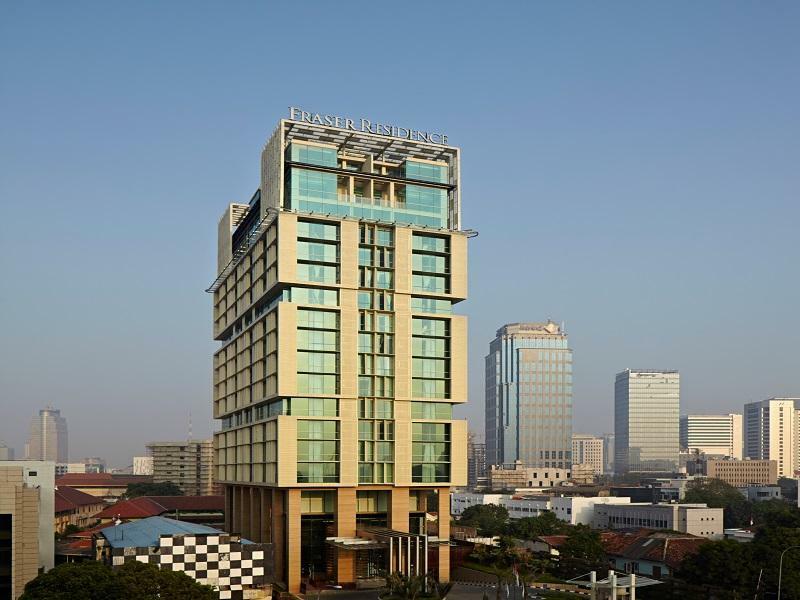 Location is great, as it’s in the central of Jakarta. Thank you for taking the time to provide us with your feedback. I am truly sorry to hear about your unpleasant experience. While we constantly strive to maintain the highest standards of customer satisfaction, regrettably, on this occasion, we have fallen short of our key objective and I therefore wish to extend my sincere apologies. I would like to assure you that I have personally addressed this issue with our team members concerned and will ensure that they receive the necessary guidance to perform a much better role moving forward to avoid a recurrence of this incident. Once again, please accept our apologies and do not hesitate to let me know if I can be of any assistance to you anytime.